Show runs from March 9th through April 12th, 2012. Paper Trails is a collaborative art show – partnering with the Rock Paper Scissors Collective and Tomas Moniz of Rad Dad Zine. It’s a zine-themed show, encompassing hundreds of zines, many of which are locally-produced. The opening featured a Zine Variety Show with readings by Tomas Moniz, John Bobst, and Mari Naomi along with music performances by Annah Anti-Palindrome and Jon Barba. DJ Baro added some vinyl flavor to the party. During the opening party visitors drew pages to be compiled into th Paper Trails Zine. The zine will be printed and distributed by the R.P.S. 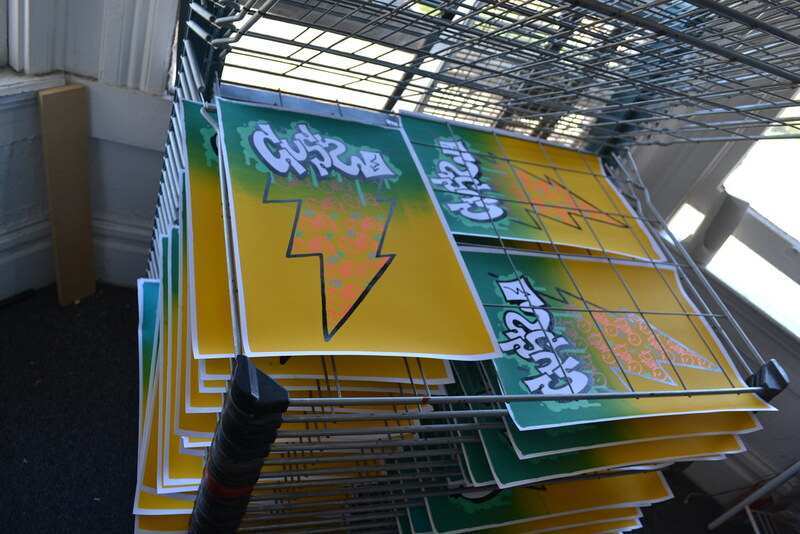 crew – it will be available for purchase at R.P.S., Actual Cafe, and other art spaces and book outlets when it’s done. Other featured installations from local zinesters include Endless Canvas, MariNaomi, Jaime Crespo, and others, and tons of other zines on a display designed by Jamie Mayne of RPS. Genres include Riot Grrrl, Radical Politics, Parenting, Gender & Sexuality, Comics/Art/Photography, DIY Skill-Sharing, and more. Jacob Barta just sent us a pack of his new Literary Zine about Trains, Skateboarding, Drinking, Drugs, Airplanes, and Death. 36 pages of stories and thoughts from traveling in August 2011. ENDLESS CANVAS will be tabling the E.B.A.P.B.F. at Berkeley City College tomorrow Saturday December 10th, 2011. FREE EVENT – Come grab inexpensive holiday gifts hand made by local artists! Our arms hurt to move and our hands are blistered from printing, stapling and folding non-stop all week, but Endless Canvas is proud to announce that we have two new zines and a Cuss poster to be released at the Bay Area Anarchist Book Fair this weekend. 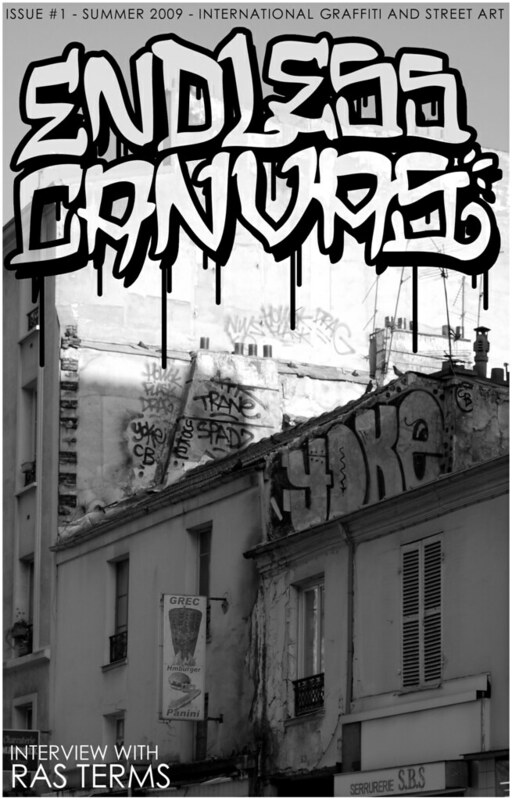 Issue #4 of Endless Canvas documents the Bay Area and Los Angeles graffiti scene over the second half of 2010 and has interviews with Pobrecito and Vegan from SF. 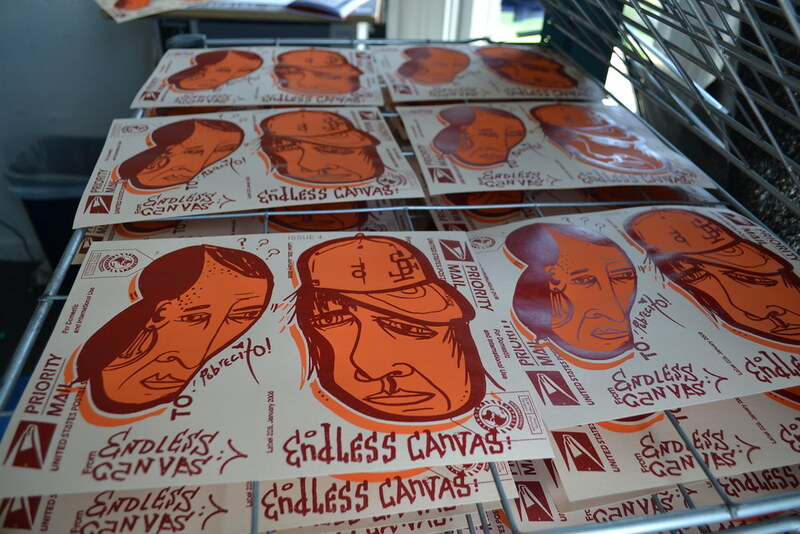 We hand screen printed a limited edition of 300 that include an orange and black Endless Canvas poster in the center by Street Artist NART. 60 Pages. Thousands of Years documents the Romain graffiti / street art scene in December of 2009. It is 40 pages of artists like Twist, C215, Miss 17, Amaze, GATS, Hogre, Sten, Political Gridlock, Lex, Apear and Sufer MTA. 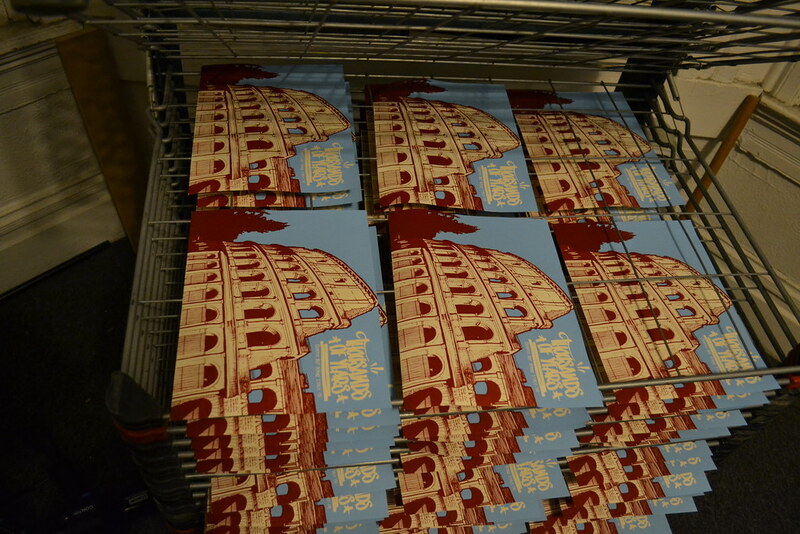 It has a limited edition of 200 hand screen printed cardstock covers. 12″x18″ Hand Screen Printed Cuss Poster. Limited edition of 100. Five layers on thick paper. EC Issue #1 is Available Again! Posted in EndlessCanvas, Products | Comments Off on EC Issue #1 is Available Again!